"I’ve never had the pleasure of using Feng-GUI, but I think the technology is incredible and have heard great things from other industry leaders." Usability testing plays a vital role in any online business looking to grow and increase online conversions. Usability testing is simple — using a variety of methods to gather data on how users interact with your website in order to increase conversions. So I asked him "What does mine say?" and he said "Dude!" 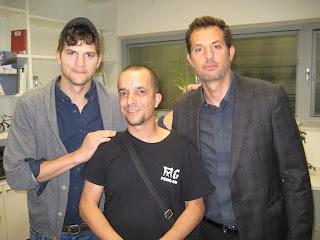 Thank you Guy Oseary & Ashton Kutcher for your inspiring visit. Its great to know that what drives you is making the world a better place.